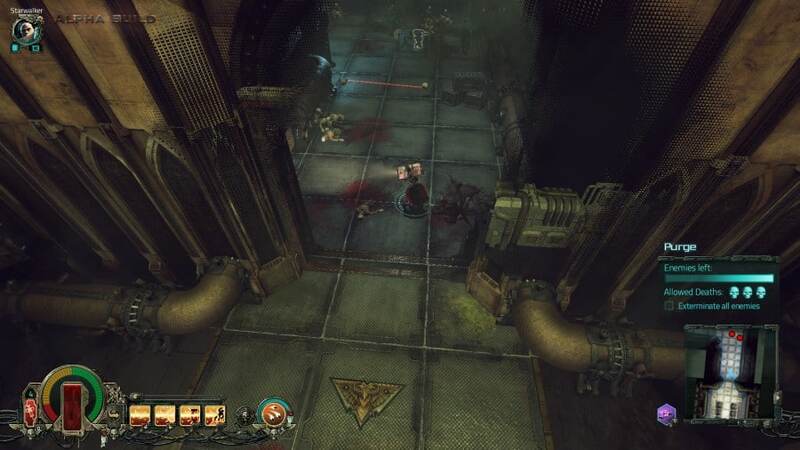 Hi, as can be seen in the screenshot, sometimes there is a red line between the servo-skulls that make up a tripwire. I guess this is not intentional, because this trap is too obvious then. I have used two different browsers and notice the embedded screens will not enlarge when selected. This is the second post I have encountered with this issue. BTW, I have also seen the tripwires buried in the floor. You can see them but you cannot see the skulls and you cannot trip them either. Seems like a collision detection issue or a simple misplacement when snapping to surface during the build process. I have noticed this issue as well, we'll try and fix it ASAP. This happens when you are modify the picture's code. I've noticed this too. Both on my 770 and later when I upgraded to a 1060. Both using the same driver. However, I'm not sure if I've seen it since I upgraded the graphic settings a hair, but that might just be lack of deep testing. I can upload a short unlisted video to YouTube if it'd help the developers watch it, though if it's been seen already, then probably won't. To insert the picture I used the "Insert Image (Crtl+P)"-button atop the posting's editor window and dropped the picture into the box that appeared. I use Edge to access this forum.